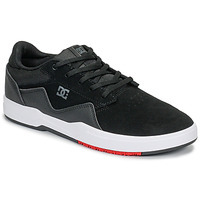 Men's Skate shoes - Discover online a large selection of Skate shoes - Free delivery with Spartoo UK ! 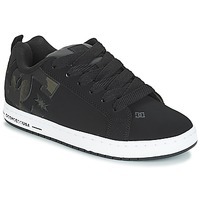 Men's Skate Shoes: hundreds of pairs to discover online! Originally designed for the needs of skateboarders, BMX pros and all surf sports, skate shoes are a must have in any guy's wardrobe today. To meet the needs of every man looking for the perfect skate shoe , Spartoo UK has selected a wide range of the trendiest models. The advantage of this type of shoe is twofold. First it gives its owner a cool streetwear look that is super trendy. Second, skate shoes are very comfortable and offer great traction, durability, and flexibility! 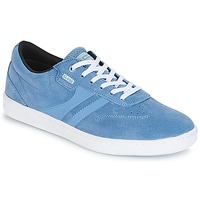 When you shop our men's online shoe shop, you will find several thousand pairs of different trainers . Depending on your needs and the look you are going for, you'll certainly find a pair of shoes that you love from among our selection of classic trainers, our running shoes and also skate shoes. 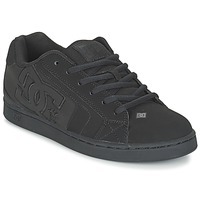 So that you can be at your best, choose a model that meets your style and your needs, like men's skate shoes. Wear them with a pair of trousers or baggy jeans and a t-shirt, and skate shoes will complete your outfit perfectly. 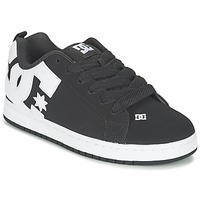 Are you looking for skate shoes from a particular brand? 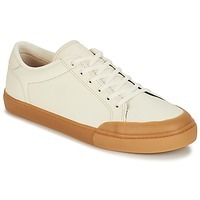 Browse our men's trainers and choose a pair to add to your collection. You'll have plenty of shoes to choose from! And among the models of skate shoes that are the most popular, you'll find shoes from Globe, including the most famous models, the Sabre and Fusion, as well as several pairs of DC Shoes. 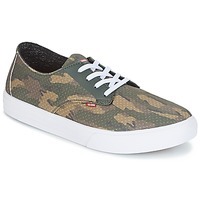 Spartoo also carries pairs of Vans, Etnies, Airwalk, Element and DVS. Each brand creates very trendy designer shoes that you can wear in any season.